MUNCIE, IN, Jan. 5, 2017 – Thanks to generous local donors more than 90 children and their families participated in the 2016 annual holiday party at The Boys & Girls Club of Muncie recently. The Boys & Girls Club of Muncie in conjunction with Northside Assembly of God and Ball State University’s Student Action Team hosted the celebration. 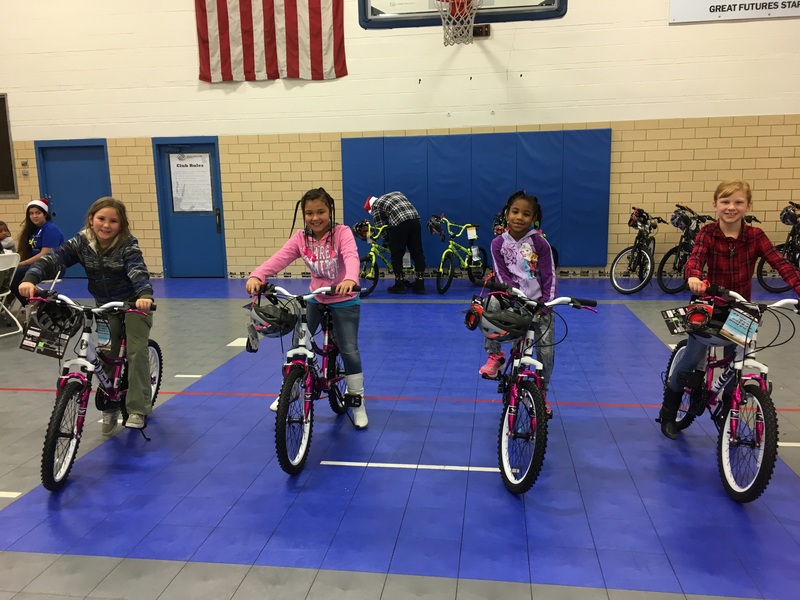 Wal-Mart South donated $1,200 to purchase bicycles for high performing Kids. Boys & Girls Club volunteer Betty Ketchum and members of Northside Assembly of God donated $700 and helped organize the event. Other major donors included Par Tuck Corp and owners Sandra and Richard Case. The Boys & Girls Club staff also raised $300 and managed the event. About Boys & Girls Club of Muncie: The Boys & Girls Club of Muncie was founded in 1933. Our mission is to inspire and enable all young people, especially those who need us most, to reach their full potential, as productive, caring and responsible citizens. We provide a safe place to learn and grow; ongoing relationships with caring, adult professionals; life-enhancing programs and character development experiences; and hope and opportunity. You can learn more at www.bgcmuncie.org. For more information, please contact the Boys & Girls Club at frontdesk@bgcmuncie.org or (765) 282-4461. Congratulations to This Week’s Club Kids of the Week! This week’s Club Kids of the Week are Dakota and Mariah! Congratulations. Help us congratulate our October Club Kids of the Month! It’s a pleasure to recognize Oh’rye’A and Isaac for their excellent daily practice of this week’s value of the week, THANKFULNESS, and other values and good behavior. They have demonstrated to their peers, the staff and the volunteers that they are deserving of the title of Club Kid of the Week. Congratulations on your well-deserved achievement. Help us congratulate our two exceptional Club Kids of the Week.